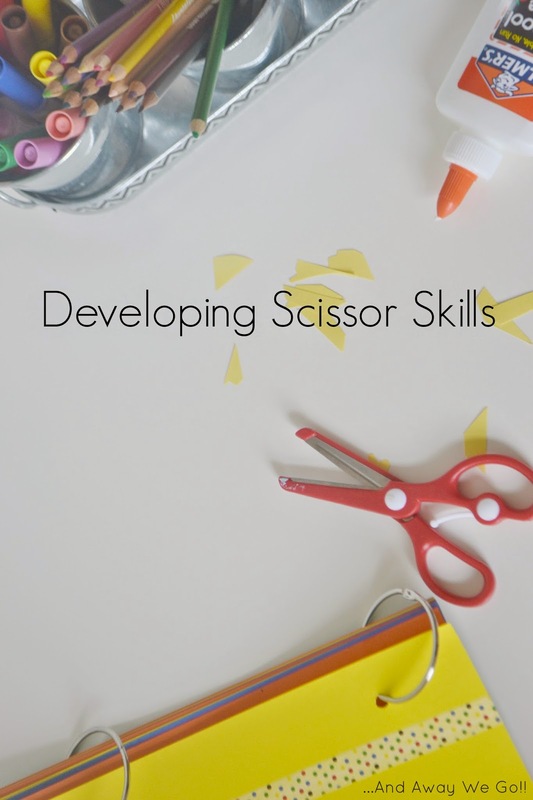 Last summer I shared that Andrew had been struggling a bit with his scissor skills and that I was hoping to focus on helping him to develop his strength and confidence with some new activities. We've continued to work away, cutting lots of different materials and I am happy to say that his attitude and ability have greatly improved!! I wanted to share one of the activities he has enjoyed the most. 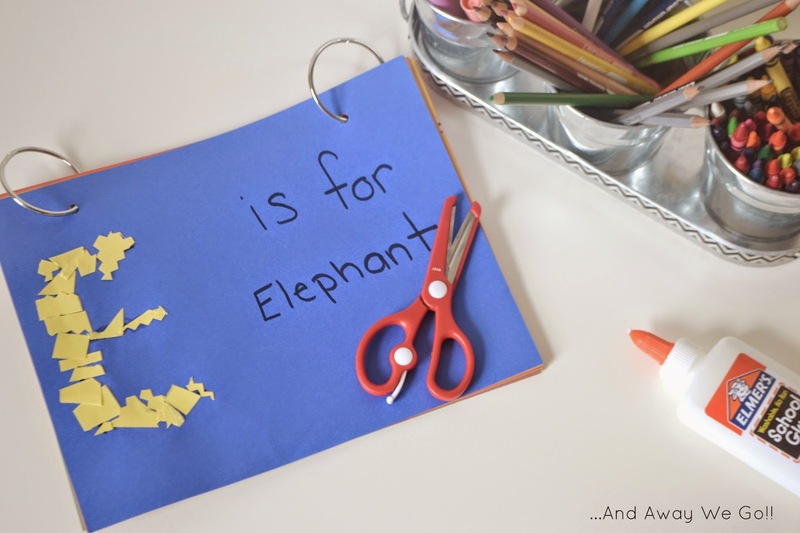 It combines scissor practice with letter sounds and structure… bonus! 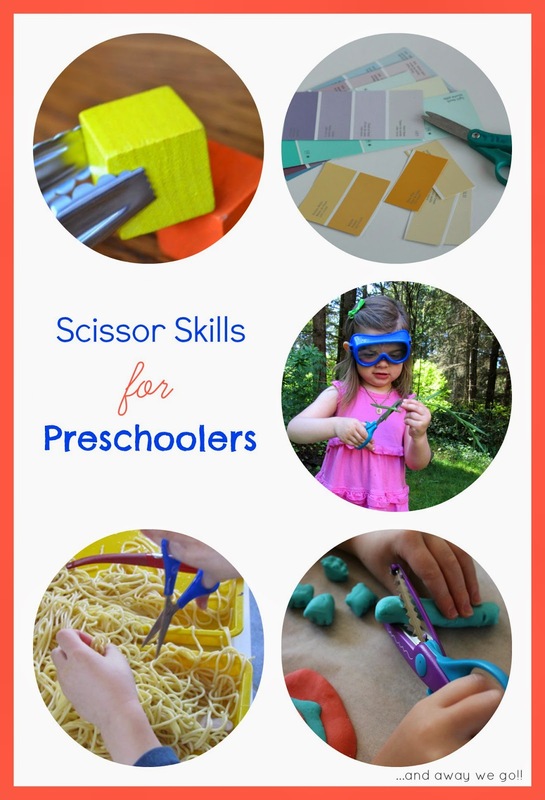 This Scissor Skill Development activity is something your little one can work on over many sittings. It takes a few minutes to set up at first, but is then ready to go for for the future with minimal prep. 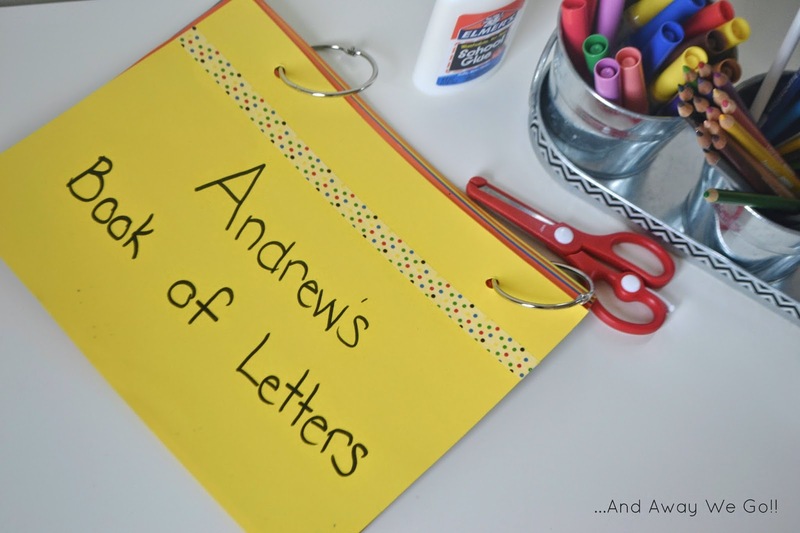 To make "Andrew's Book of Letters" I joined 15 pieces of colourful card stock with two ring clips. Using the front and back of each page I printed each letter of the alphabet (one letter per page), followed by "is for". 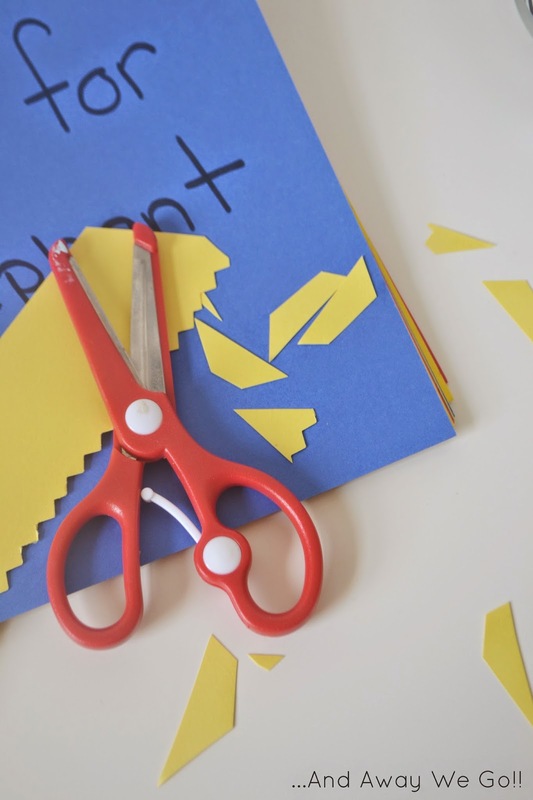 When it is time to work on the cutting activity, Andrew cuts scrap paper into small pieces until he has a small pile. We talk about the letter we are focusing on, brainstorming a good word to complete the "is for" sentence. We trace the large printed letter with our finger a few times and he glues the paper pieces to the large printed letter. I found these scissors at Target. They have a small spring loaded switch that can be flipped up to help the scissors open up easily between snips. Andrew really likes them and thinks they help him to go "super speed"! He also enjoys using my scrap booking scissors. This has been a great activity for Andrew. It keeps him busy for just the right amount of time (before he loses interest and moves onto something else) and is well suited for him as a tactile learner. I have seen some great gains in his cutting accuracy, but more importantly he is much less frustrated when working with scissors. Success! You may also find this helpful.